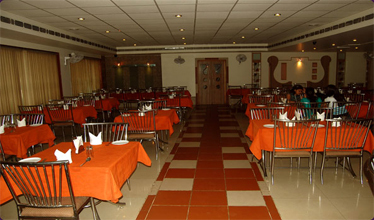 Hotel Heera Celebration offers people visiting Mathura a worthy and reasonable staying option. Though the hotel offers limited services yet it can be trusted for spending a few days without any hassle. Some of the services offered here are bar, executive lounge, taxi services, doctor on call, laundry, travel desk, airport/railway station transfer etc. Business Facilities, Airport Transportation, Breakfast Services, Express Check-In/Check-Out, Restaurant, Conference Hall, Backup Generator, Health Club, Safe Deposit Box-Front Desk, Currency Exchange. Complimentary Newspaper, Voicemail, Attached Bathroom, Massage-Available in Room, DVD Player, Bottled Water in Room, Internet Access, Desk, Air Conditioning Room, Wakeup Calls. User reviews for "Heera Celebration Hotel Mathura"